Q: I was curious, which English Bible translation do you find to be the most accurate? Is there a correct / accurate Hebrew / English Bible translation? Is there a good Hebrew Bible Dictionary other than the Strong’s? Is there a Messianic Jewish Commentary that I can trust? Any advice or guidance will help. Thank you. A: These are all great questions—thank you for asking! As you probably already know, he Scriptures were written in Hebrew (some in Aramaic) and Greek. So when we read the Scriptures in English, we are reading a translation. By definition, this means that no translation can be absolutely “correct.” A translation requires more than just the conversion of individual words. Concepts and connotations need to be understandable by the receiving audience. The various Bible translations fall along a spectrum between literal and paraphrase. A literal translation attempts to convey the original meanings of words and phrases. A paraphrase focuses on the translation of original ideas and concepts. 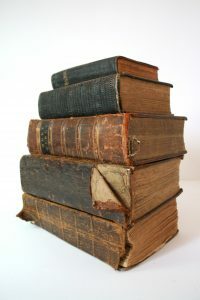 Many modern translations attempt to preserve a certain level of what is called “dynamic equivalence” with the source texts, trying to strike a balance between the literal and paraphrase ends of the spectrum. I use different translations of the Scriptures, depending on the situation. For example, I sometimes use the New International Version (NIV, 1978) or the Complete Jewish Bible (CJB) for public reading, since they use simple, modern English. However, I never use the NIV or CJB for straight study, because that simple English comes at the cost of the underlying languages. When I study, I compare multiple English translations, including the New American Standard (NAS) and English Standard Version (ESV), but my starting text is always Young’s Literal Translation (YLT), because I want to be able to “see through” the translation to the original language as accurately as possible (though I rarely interact with the Scriptures solely in English). And I would never rely upon a translation of a translation (i.e. Hebrew Gospels into English). All that said, for a balance between modern readability and literal accuracy, I tend to favor the NAS. The CJB would be my second choice, only because it attempts to remain faithful to a Messianic Jewish perspective. Two of my favorite study tools are actually an Interlinear Hebrew-English “Old Testament” and an Interlinear Greek-English “New Testament”. An interlinear book provides a word-for-word line of English translation for each line of the original language. As far as translations go, an interlinear version will be the most accurate, making it great for study, but impractical for most other purposes. As for Bible dictionaries, Strong’s numbering system is very helpful, but his definitions are not generally regarded as authoritative. You may want to consider a lexicon, such as Brown-Driver-Briggs (for Hebrew) and Thayer’s (for Greek). As for Messianic Jewish commentaries, there’s nothing like David Stern’s Jewish New Testament Commentary. I highly recommend it. An excerpt of this “Fast Foundations” article was originally published in Messianic Jewish Issues. Agreed. Just as we have Matthew, Mark, Luke and John. Also, Peter and Paul as witnesses to the Word. Two or three witnesses let every word be established. Dear Kevin, thank you so much for taking the time to share your wisdom, knowledge, and expertise with us. Some time ago (before I found Perfect Word) I posed these same questions to another Messianic ministry. Their response was: no response. After reading many comments on your various posts, I can see that I am not alone. Obviously, you make us all feel valued and cared for. Intersting article. What would you recommend for a Tanakh commentary? Arthur, I love that translation! I have heard from people who know hebrew that KJV is fairly accurate fir the OT(not so much NT). That it is very similar to the Masoretic Text, which is the only Rabbinic authoratative version. What do you think of KJV or NKJV? I love the NAS since i found it,was hoping i’d see it on your list. Appreciate the info on Sterns. I have found that the Scriptures is by far and away the most accurate version. I am surprised that you use any “Christian” versions such as NAS since all christian versions have an agenda and have lost all Hebraic roots. The Scriptures have restored all the Names and virtually nothing gets lost in translation since the only agenda is the true Hebraic roots of the original. Curt, I don’t think “Christian” versions of the Bible have as notorious of an agenda as you suggest — and I don’t think it’s fair to imply that the Scriptures restored names version doesn’t have any agenda at all! I definitely take issue with such a translation, “Hebraic” or otherwise. Be that as it may, the vast majority of Scripture itself is neutral in terms of its translation having a bias for or against Hebraic understanding. There are a limited number of passages (albeit very important ones) that a bad translation is going to adversely affect in that regard. Many of my students have asked me “what the best translation is.” And my answer is that scripure is always spiritually accurate and I reference 2 Timothy 2:15. There’s a language barrier between translations with some translators bias; it can be difficult to get the authors intended meaning. But the good news is that “every Writing is God-breathed, and profitable for teaching, for conviction, for setting aright, for instruction that is in righteousness,” (2 Timothy 3:16) This is why scripture is always spiritually accurate. So as you said, a good interlinear Bible is a useful tool in reading and studying. Good article. What’s your take on the TLV (Tree of Life) translation? Shalom Zach. I haven’t gotten my copy of the TLV yet. What I’ve seen in the samples looks good, though. My understanding is that they are going for an NIV feel in terms of readability. I look forward to getting my hands on one one of these days. One one my Big Issues with “Christian” versions is in their deliberate altering the Names. The Father has purposely placed His Name in the Original Tanach over 6800 times. A Name of all things should never be translated or changed. Father must have thought His Name important to be know to have placed it so many times in scripture. Especially in Yeshayahu chapter 42 where He states my Name is YHWH. He did not state His name is a title (L-rd). Also, Messiah’s name is clearly Yeshua. In the Scriptures, it is correctly listed as Yeshua. It is especially important because Yeshua means salvation. Christian versions translate Mattayahu as saying His name shall be called J-sus. I trust you know J-sus has no meaning. The Messenger would not be giving Messiah a name with no meaning. My point is it is all about the Names and the fact that the Names all have great meaning. They should be transliterated and never translated. That is why I prefer the Scriptures. Please receive this in love. I mean no offense or judgment. I just feel very strongly about this. I believe you prefer being called by your true name. This also shows that someone Truly knows you and loves you! I hear you, Curt. I appreciate your perspective, and to a large extent, I agree with you. However, as I said before, I don’t think this was a notorious plan on the part of the translators. In fact, if you’re translating from the Greek texts of the New Covenant Scriptures, you can’t get directly to “Yeshua” from “Iesous” — so in that sense, “Jesus” is a legitimate translation from a linguistic standpoint. I think the value of a translation goes far beyond the correct translation of names — it also includes the preservation of all words, meanings and concepts, and successfully transmitting them into the receiving language. Is it correct to assume that if I were to call on the name of Jesus, He would ignore me because I don’t call Him by His Hebrew name? I know this cannot be so because He has answered me the whole time that I was a “Christian.” While it is great if we know His Hebraic names, I think He looks at our hearts. And for those who do not know His Hebraic names, I highly doubt that he punishes them. He looks for respect and sincere desire to know Him. There is no one correct religion/relationship. As people, we do our best, remembering always that we are fallible. The best policy, it seems to me, is to be quick to listen, slow to speak and to refrain from deciding that any one denomination is terribly wrong because some of it is faulty. Ihave both the complete JewishBible&Jewish new testament comentary Strong’sconcordance.More importantly are you walking out what you do understnd.Th en He will cause you to know more. Shalom Kevin! I wanted to say your are my favorite Messianic commentator, and I hope you will have as much influence as Zola Levitt. As with the translations, ALL commentaries need to be filtered through the WHOLE Bible. I don’t always agree with them, but they do help on seeing things I might have missed or not thought of. I would like also to suggest the chain reference Bible for studying. Hopefully we might see a Messianic Study Bible soon. I have the AENT and love it…it goes deeper than the CJB. The claim behind the Aramaic English New Testament (AENT) is that the original language of the New Testament Scriptures is not Greek, but Aramaic (a language similar to Hebrew). While such “Peshitta original” theorists have their arguments, and the sources of some NT passages may have been Aramaic (just like there are quotations of Hebrew sources, i.e. the Tanakh), the vast majority of scholarship rejects this idea. If Greek is the original language of the New Testament Scriptures — and I believe it is, since there is no ultimately convincing evidence to the contrary — then the AENT is a translation of a translation. This makes the AENT useless at best, dangerous at worst. I strongly discourage the use of the AENT or any English translation of a translation. You are basing your conclusion on the original language of the entire NT to be greek “since ther is no ultimately convincing evidence to the contrary”. There is much evidence to the contracry that the book of Matthew was originally written in Hebrew. Investigate for yourself “Shem Tov’s Matthew” and pay particular attention to information about column notes. Thanks, Pey, but again, it’s not convincing evidence. The Shem Tov is a late document. There’s no doubt that Hebraic thought underlies the NT conceptually, but there’s no hard evidence (i.e. manuscripts that predate the Greek) that it was originally written in anything but Greek. I am confused! I have recently become interested in Hebrew , as I want to more understand the tongue The Lord spoke. I am looking for a transliterated Bible, so Help. Sheila, it sounds like you’re looking for an interlinear Bible, like http://www.amazon.co.uk/dp/031040200X/ Since the New Covenant Scriptures were written in Greek, however, you won’t find one of these in Hebrew. You can find Hebrew/English New Covenant Scriptures in parallel, but not interlinear. All that said, such bibles would only take you a step toward understanding Hebrew. Kevin, your explanation of AENT helped me much. Thank you!